The Doogee Y8c drops the 4G to become the cheapest teardrop Android phone ever! While to some, a teardrop-shaped notch is just another hurdle to become quickly overcome with the advent of fully immersive bezel-less displays. It still marks an important landmark in trickle-down design features. It’s always good news when a once flagship feature becomes available on one of the cheapest phones available. OP6T eat your heart out! Just kidding, the OP6T is in another league, but we can’t deny that the Doogee Y8c is a looker. 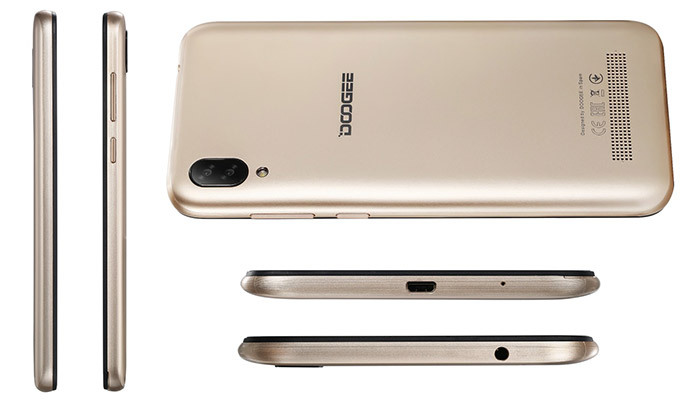 How has Doogee managed to trim the fat on the already super-lean Doogee Y8? What cost has slashing the price to a ridiculous £50 (60 USD | 53 EUR) had? Let’s find out! If you haven’t already checked out the Doogee Y8 review, then do that now as these two phones share many of the same design & hardware features. 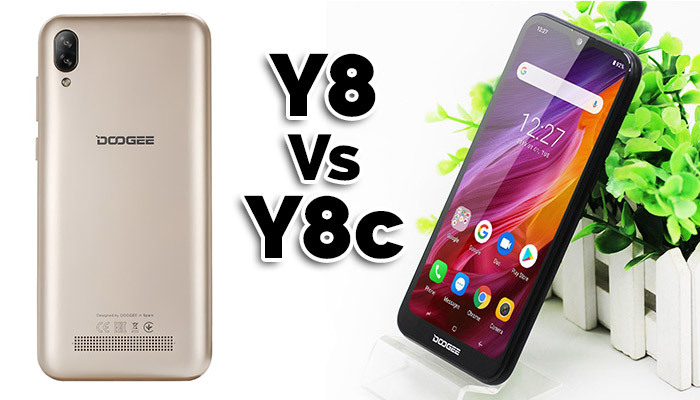 So let’s take a look at the new Doogee Y8c and what is has to offer when compared to the Doogee Y8. Wait? What? The Doogee Y8c only comes with 1GB of RAM? Yes, that’s right, but it’s not all bad news. 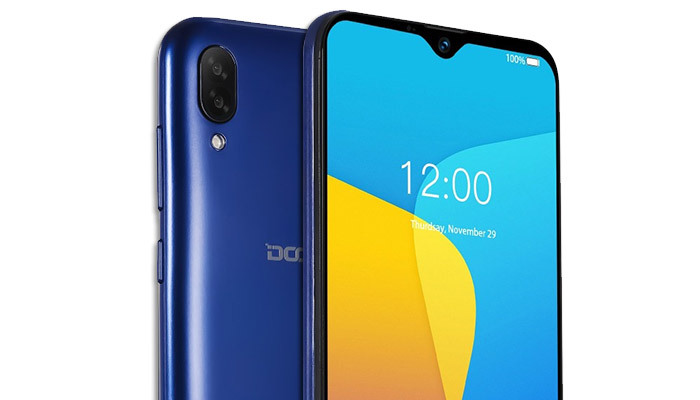 Doogee has opted to install the Y8c phone with Android’s super-lean ‘Android Go’ 8.1. This means that all of the Google Apps (Chrome, YouTube, Gmail, etc) have been tailored to run smoothly on low-end hardware with less RAM needed. So now that 1GB isn’t looking so bad. If you’ve been looking for a more modern looking alternative to the Blackview A20 then the Doogee Y8c is it! Slighter thicker at 9.9mm than it’s 4G brother the Y8 (9mm), it still weighs in at 150g making it comfortable to hold. If you spend most of your time connected to WiFi, you might be asking yourself: Do you need the 4G? Probably not. Also a great options for kids, when you don’t want them eating up their data allowances in minutes. Performance-wise the Y8c version uses an older quad-core MediaTek CPU. It showed its age a little during testing with the non-native Google apps taking their sweet time to load. Also having many apps open at once seems to slow the Y8c down in general. Also we didn’t experience any freezes, even with the entry-level specs, which is good news and testament to the solid Android Go OS. Overall, you should think carefully when deciding to buy the Doogee Y8c. For not a lot more, you can have quite a speed bump by deciding to go with the standard Y8 version. 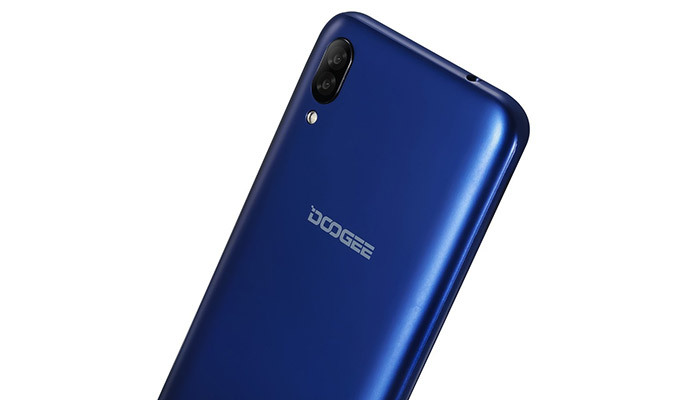 The Doogee Y8c uses the same 8MP + 5MP rear camera setup as the Doogee Y8. You can check out the Doogee Y8 Review here for more information. If you’re looking for a quick comparison between the Y8 and the Y8c, then you’re in luck! Anything that’s not mentioned below is identical between the two models. I’m a big fan of budget smartphones. The cheaper, the better in my mind. But I find myself thinking that, for not a lot more, you can have 4G and a more responsive Android phone. There’s a lot to love about this phone though. Design-wise, the Y8c performs well offering a modern style & bright display. The battery life is also excellent considering how Doogee has kept the weight of the Y8c so low. Do we recommend the Doogee Y8c? Only if your budget permits. By that, I mean that if you can squeeze out an extra £20 then you can do much better.